If you’re a regular reader of our Silver Bay blog, then you’ll already know how much we love championing local businesses and attractions. That’s why we thought it was about time we dedicated some space to Anglesey’s wonderful cultural treasures – from the breathtaking Beaumaris Castle to the tiny hidden gem that is St. Seiriol’s Well. So, if you’re planning on visiting Anglesey this summer then have a look at our blog below. We have everything you could possibly need to experience and celebrate Anglesey’s glorious historic heritage – and we promise there’ll be something for the little ones too. Arguably the most iconic landmark on the island of Anglesey, we had to include South Stack Lighthouse in this historic countdown. This fantastic attraction boasts panoramic views of the area – including dramatic cliffs, green pastures, and incredible local wildlife. South Stack Lighthouse is also particularly popular amongst bird lovers. In the spring, the narrow ledges are home to numerous species of seabirds – so make sure you keep your sandwiches close! But it is in the summer and autumn that South Stack Cliffs really comes to life, when large bird groups migrate to the north and south for better climates. This is a wonderful sight for any traveller visiting Anglesey, and promises to be one the most worthwhile things to experience whilst on holiday. If the weather is less fortuitous, however, then you might prefer to stay indoors along the South Stack coast. Luckily, the Ellins Tower Visitor Centre is just the attraction. Providing excellent protection against the elements, this white-washed building resembles a miniature castle locked in the Anglesey landscape. In terms of entertainment, the centre has a number of knowledgeable team members who are more than happy to share their wisdom and insight into Anglesey’s natural history. There are also free binoculars and telescopes available for everyone to use too. And to make things even better, there is also a charming cafe located within the visitor centre – making the Ellins Tower Visitor Centre perfect for a sweet treat after all that knowledge absorbing. If you’ve enjoyed your fill of cool salt breeze and ice cream, then take a trip to Plas Cadnant Hidden Gardens. This beautifully restored garden has been finished to immaculate standards, and is often described as one the best kept secrets in Wales (oops, we did try our best). With three distinct, but gorgeous, green spaces, Plas Cadnant boasts its own 19th century folly and even an upper woodland garden. It is one of the best places to relax, take a gentle stroll, and marvel at Anglesey’s unique history. The Hidden Gardens also offer a number of private group visits, especially for those with a budding passion for horticultural delights and yummy refreshments. You will have the opportunity to see exclusive ‘before and after’ shots of the restoration process, including a light lunch and tour across the historic grounds. It really is the perfect stop-off for holiday-makers and travellers to north Wales. Visiting Victorian gardens is one thing to tickle the senses – but what about excited little ones who want to learn more about Anglesey’s wonderful wildlife? Then they’ll absolutely adore Foel Farm Park. This charming farm gives children (and adults!) the chance to see and experience a real working farm, including all the animals that live within. You can feed the calves, shop in the gift shop, and enjoy a nibble in the Y Foel Tea Room. And if there’s any passionate equestrians in your brood, the park also has pony riding lessons to keep them occupied. Beyond the cute and fluffy, Anglesey also has a number of cultural attractions that will delight even the young and old(er). The Holyhead Maritime Museum is particularly worthwhile – offering a fascinating glimpse into Wales’ shipping past. Visitors can expect to see exhibits about the various shipwrecks that dot along the Anglesey coast, such as the HMS Thetis. There is also an excellent permanent exhibition to Captain Skinner, an ardent innovator of the Anglesey Post Office service. Overall, this small but engaging museum is one of the best testaments to Anglesey’s multifaceted and occasionally dark past. 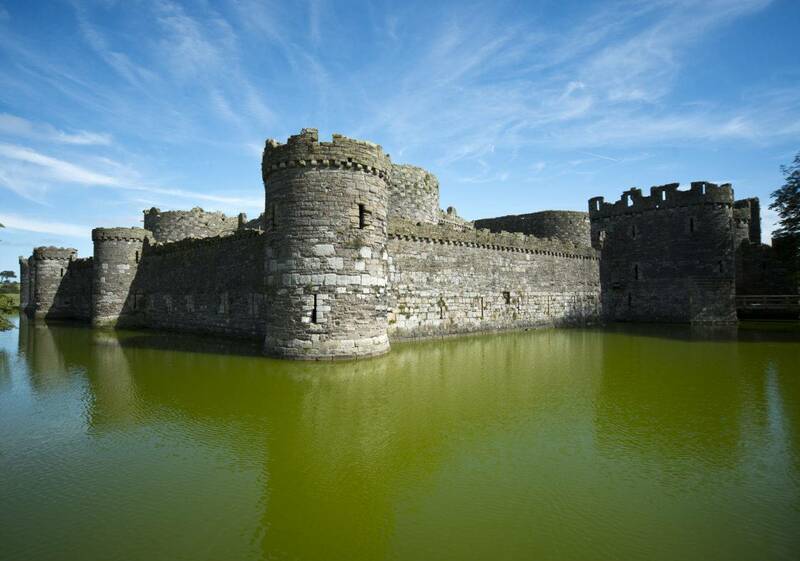 Often hailed as the great unfinished masterpiece of Wales, Beaumaris Castle is an incredible opportunity for history, adventure, and seriously impressive architecture. First constructed during the reign of Edward I (1239 – 1307), this ambitious building project was the finest castle Wales ever saw during the Medieval period. It was also a marvel of modern innovation, with a ‘walls within walls’ style of fortification that protected Beaumaris against enemy attack. Nowadays, it is a fantastic attraction that draws visitors year in and year out. If you’re travelling with a group, furthermore, you can purchase a family ticket to get the best value for money. Another architectural beauty on the list, Plas Newydd Country House is a testament to Anglesey’s gentile historic past. This enchanting mansion, filled with 18th century treasures and Rex Whistler connections, is one of the most intriguing buildings in Wales. It was first built in the 1500s, then underwent a series of impressive renovations throughout the 1700s – just as classical fever gripped the aristocratic class across Britain. But the main feature of this stunning mansion is Rex Whistler’s colossal Whistler Mural – measuring 58 x 12ft. Filled with references to a bygone world of ancient Greece, it is certainly one of the most impressive sights locked within Anglesey. But if all that wasn’t quite old enough, then you’ll need to see Barclodiad Y Gawres. This is a fascinating Neolithic burial chamber located on the southern tip of Anglesey. In 1952, the site was restored to its former glory – just as it would have been left thousands of years ago. Visitors are also able to go inside the burial tomb and see the beautiful carvings left from Anglesey’s ancient inhabitants. This is a wonderful chance to stroll away from the beaten track and experience the very best of Wales’ Neolithic past – something which will amaze all the family. Although featured last on our blog, Penmon Priory is certainly one of our favourite historic attractions in Anglesey. The priory has an impressive history that spans over 1000 years, perhaps dating back as early as the 6th century. According to local legend, the site was founded by St. Seiriol and prospered for hundreds of years before Viking attacks dominated the coastline. If you choose to visit Penmon Priory today, you will have the chance to see some of the oldest high crosses in Medieval Wales. There is also a beautiful Holy Well that dates back to 1710 and a dovecot – demonstrating Penmon’s importance as a domestic, as well as religious, site throughout the early modern period. So, if all of this sounds appealing, then head down to Penmon Priory for an enchanting day out in Anglesey’s historic past. We cannot recommend it enough. When you imagine Anglesey, your mind might wander to images of beautiful holiday cottages and delicious local cuisine – but make no mistake. There are hundreds of wonderful activities to amuse, entertain, and captivate all members of the family. From the medieval treasure of Beaumaris Castle, to the warm and fuzzy sights in Foel Farm Park, this is the ultimate retreat located in the northern tip of Wales. And we can’t help but recommend each and every one of these wonderful attractions to our holidaymakers every year. previousSilver Bay Offer Free Weekend Getaway to Facebook Fans! nextEvents for your Calendar! Get ready for Summertime on Anglesey!